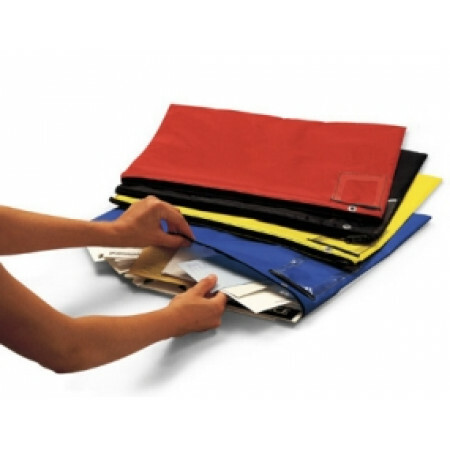 Forget mailing envelopes - economical mail pouches can be reused hundreds of times! The ideal solution for sending things back and forth between departments, branches, buildings and agents. Available in 4 sizes to manage everything from computer disks to presentation boards. Seven colors for your choice of color coding your your mail center. Specify a certain color for a specific location or operation.